These are the mindsets that I bring to Hokkaido’s tourism through my roles as the okami (female inn manager) of Takinoya in the Noboribetsu hot spring village and as a member of the Okami Association of Hokkaido Hotel and Ryokan. While Hokkaido’s various accommodation facilities include large hot spring hotels and downtown hotels, many of the inns in the Okami Association of Hokkaido Hotel and Ryokan are small and medium businesses, where we work on the front lines serving guests 365 days a year. Okami can do all kinds of work in their role as a manager, but many, myself included, are just working hard in our inns every day to keep the inn profitable, and interacting face-to-face with our guests to provide them with the best hospitality possible. I spent several years in Washington State in the USA. Experiencing a new culture made me look at my own culture through new eyes and appreciate all the things that are great, all the things that are wonderful about Japanese culture. I also think that it’s important to learn about other cultures and reflect that knowledge in my hospitality in the inn. When overseas visitors come to my inn, I try not to give them particularly different hospitality from the hospitality I would give a Japanese person. When a guest from Southeast Asia or from Europe or America comes to stay, I start from the principle that all of my guests are equal. At my hot spring inn, I want to immerse guests in Japanese culture and provide unobtrusive hospitality. I make sure that every aspect of their stay, right down to the signage around the inn, is authentically Japanese so that they can get the full Japanese experience. My guests get to put on a yukata robe, and when they go out, they can add strapped wooden clog sandals called geta. As they clip-clop through the hot spring village, they will enjoy being a part of Japanese culture. That’s the message I want to send with my inn. Until recently, many overseas visitors didn’t have any experience with Japanese hot spring inns, but now there has been a sharp increase in repeat visits to Hokkaido. There has also been an increase in information on Hokkaido overseas, which is teaching people about what hot spring inns in Hokkaido are like, as well as teaching people about Japanese culture in general, so they can follow Japanese etiquette as they enjoy their trip. I think that in order to attract more visitors from countries like Europe and America in future, we need to tell them the things that are great about Hokkaido. I think there are three main things: its nature, its hot springs and its local food. Hokkaido is a big island surrounded by three seas, and no area is the same. Wakkanai in the far north, Hakodate in the south, Nemuro and Shiretoko in the east – they all have their own dramatically different scenery, which brings new beauty with each different season. Hokkaido has more hot spring villages with accommodation than anywhere else in Japan. 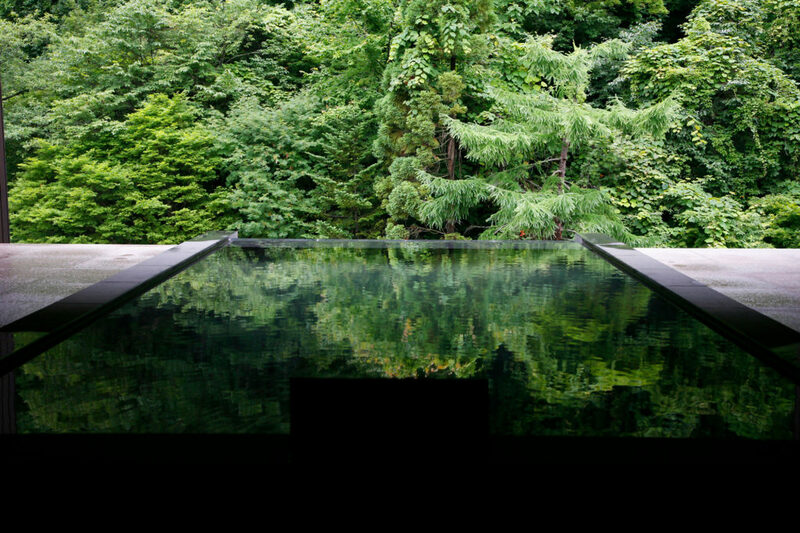 Hot springs can be found all over Hokkaido, each with its own unique local style. Noboribetsu Hot Springs, where my inn is located, blends in with the surrounding nature in a way that few other inns in Japan do – I call it “the little village in the valley”. You get off the expressway, pass through residential areas in the direction of the mountains, and then you pass through deep forest. 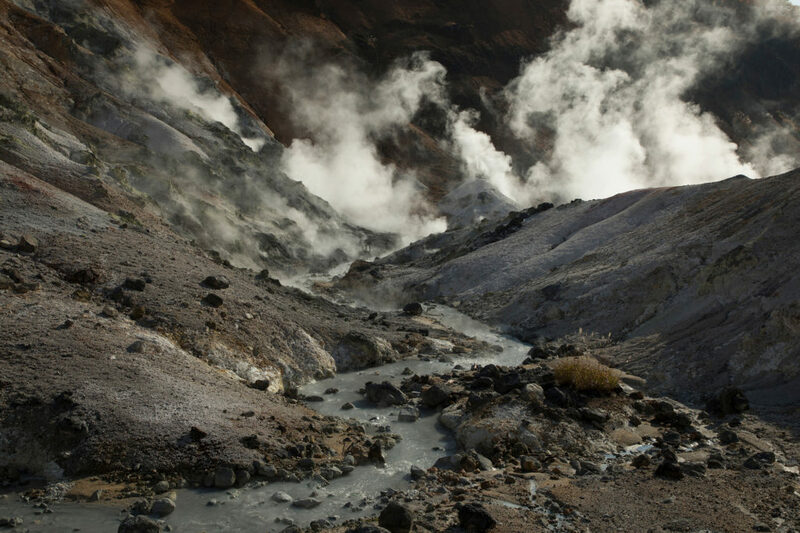 When you’re out of the forest, you suddenly see a hot spring village with fascinating geothermal activity – you’ll see volcanic smoke coming up from the “Hell Valley” below. 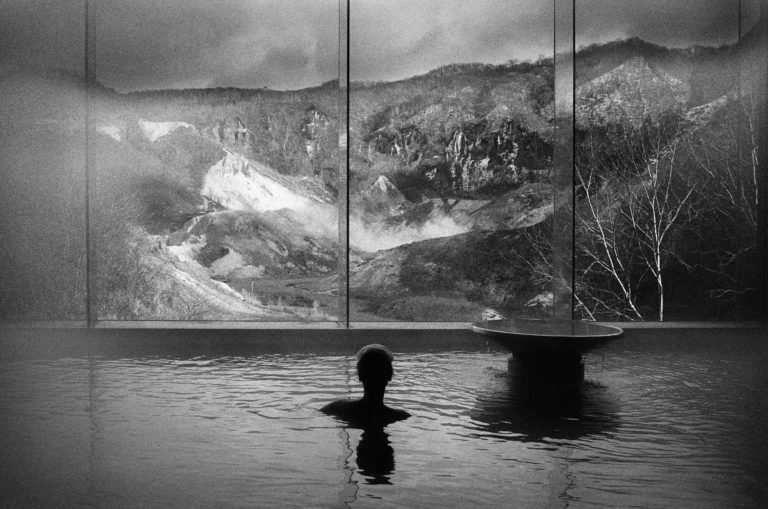 And Noboribetsu is just one of the hot springs in Hokkaido where you can enjoy extraordinary experiences that few hot springs in Japan can replicate. 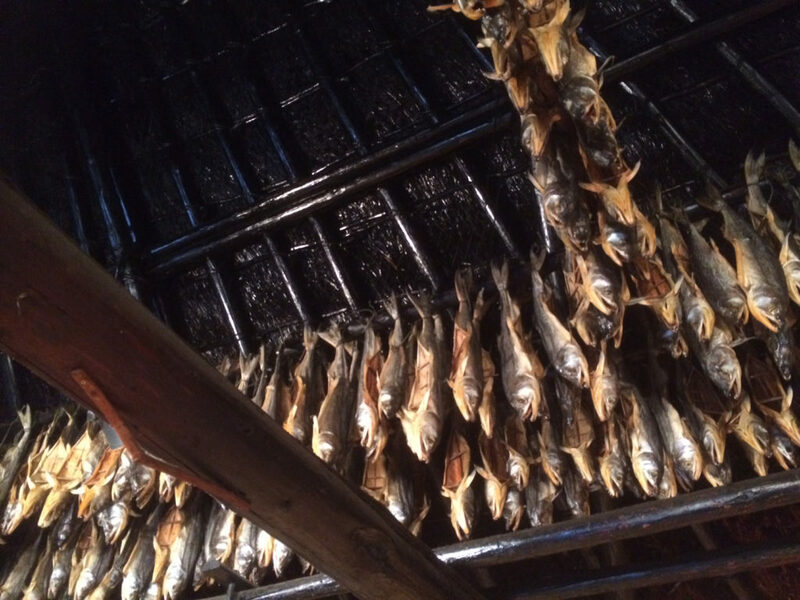 Hokkaido’s local foods have been cherished for generations. If I had to choose one food that really represents Hokkaido’s local food, it would be crab. In fact, many of the people who stay in my inn specifically say that they want to try Hokkaido crab. 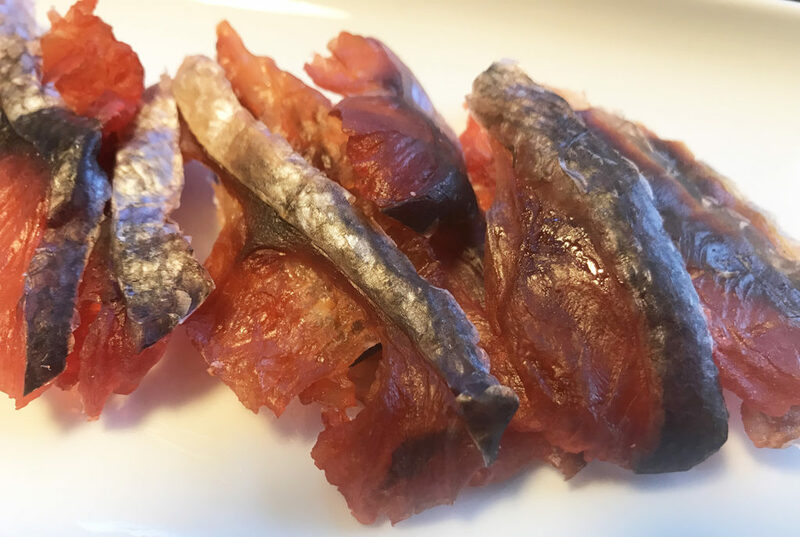 There’s also Hokkaido’s pickle culture and saketoba, a dried salmon dish eaten by Hokkaido’s indigenous Ainu people. There’s also etto (“making it through the winter”) food, a unique cuisine invented to survive Hokkaido’s long, isolating winters. 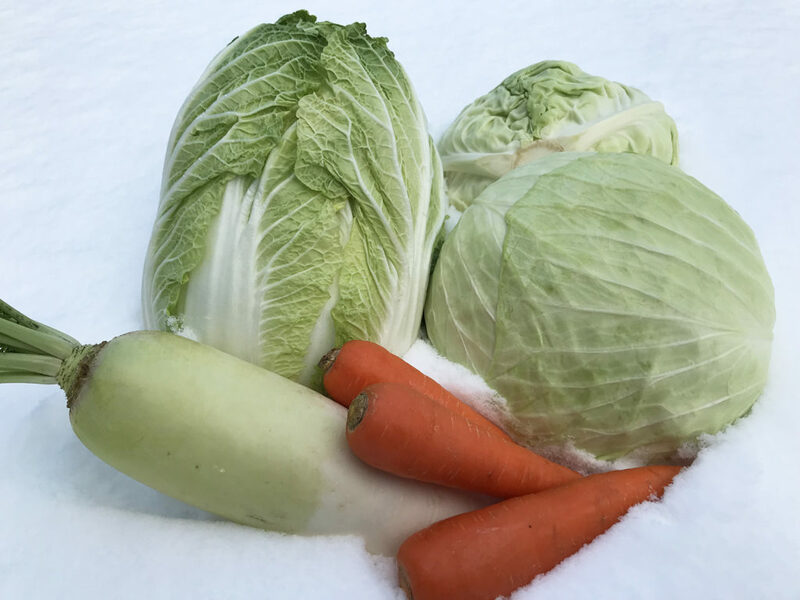 Vegetables such as potatoes, carrots, daikon radishes and cabbage are buried in the snow to preserve them. This makes the vegetables sweeter, adding a delicious new taste to the local cuisine. I think there are even places that allow overseas tourists to enjoy digging up the vegetables from the snow as a way of experiencing life in Hokkaido. 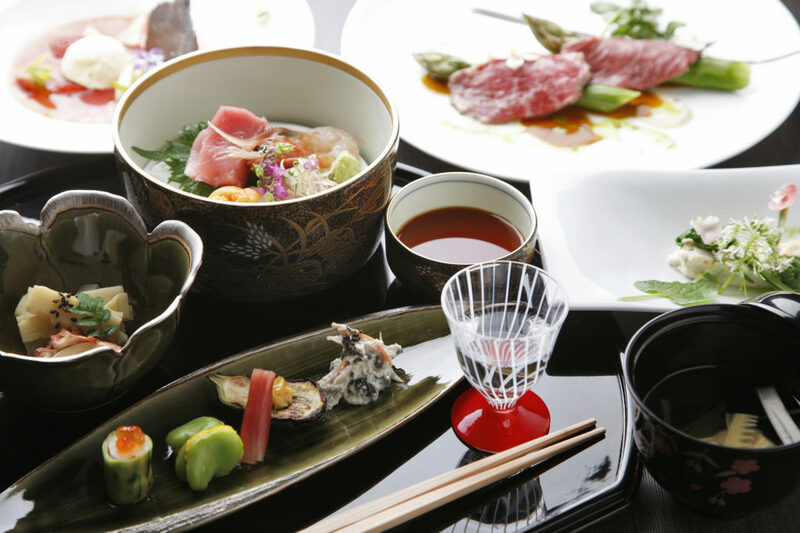 And our local cuisine is made with seasonal ingredients such as vegetables and other crops grown in Hokkaido’s clear, fresh air, dairy products and plenty of seafood. I act on behalf of the Okami Association of Hokkaido Hotel and Ryokan, helping to make Hokkaido tourism the best it can be. I look forward to seeing you at my inn and making you happy with the hospitality I provide. I am the director and okami (female inn manager) of Takinoya, a tourist hotel in Noboribetsu Hot Springs. 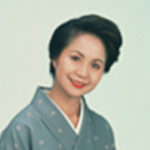 I am also a member of the Hokkaido Hotel and Ryokan (Japanese-style Inn) Environmental Sanitation Cooperative and the chairperson of the Okami Association of Hokkaido Hotel and Ryokan. An explosion crater site created by volcanic activity. It is named after the way the plumes of volcanic gas resemble the devil’s lair in hell. One ton of water gushes from the various hot springs each day, creating a dynamic natural landscape that can only be seen in Hokkaido. 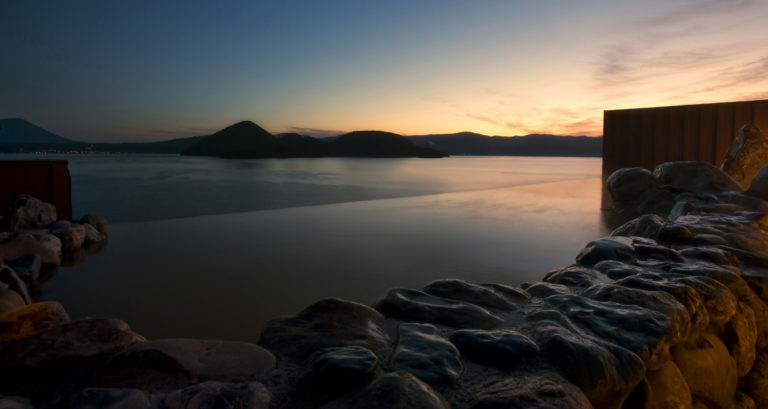 Oyunuma is a big eel-shaped lake with a circumference of around 1km, formed by the ongoing eruption of hot water from a sulfur spring. You can enjoy a natural foot bath created by a hot spring river that flows from the lake. A round caldera lake with a circumference of around 8km, surrounded by virgin forest. It is one of Japan’s best secluded lakes, with clearer, purer water than almost anywhere in Japan, resulting in a vivid cobalt blue color. With a panoramic view of Mt. Yotei, “Eruption Bay” and Lake Toya, Orofure Pass is a popular stopover for tourists during scenic drives.